The monthly mortgage payment mainly pays off principal and interest. But most lenders also include local real estate taxes homeowner’s insurance, and mortgage insurance, if applicable. 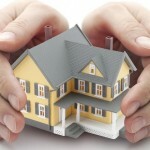 If you are refinancing compare what is and isn’t included in your financing options. Watch this video and it’ll make sense.